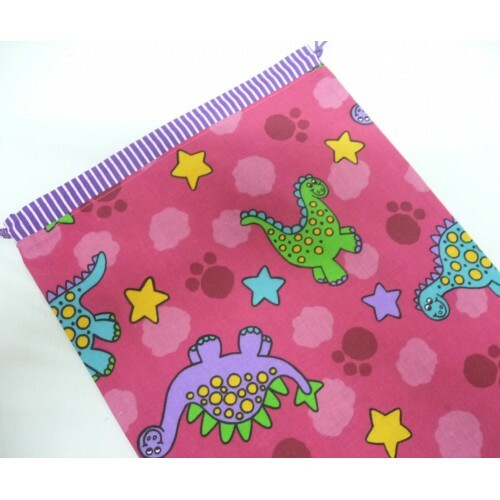 Any little girl would love this library bag with a fun design of dinosaurs on a pink background. Great book bag for school or kindy. Dimensions: 38cm W x 42cm H. Manufactured in Australia by Pink Petunias. A very hardy and versatile product. Made from 100% cotton. Machine washable. Vibrant colours of hot pink, orange, blue, aqua, green, yellow and red make this library bag a must ..
How many boys ride BMX bikes? If your son does then this is a perfect library bag for him. Fea..